How Much Does a Toxicologist Make Per Year? A toxicologist is a scientist who specializes in the study of chemical effects on human and animal health, agriculture, and the environment. Some toxicologists work with doctors during diagnosis and treatment. The average toxicologist salary in the US is at the high end at $82,787, followed closely by Australia at AU$98,012 ($76,628 USD). On the lower end are India and South Africa at Rs813,891 ($11,878 USD) and R250,636 ($17,750 USD), respectively. Salaries vary based on geographic region, experience and work setting with additional details outlined in this guide. Toxicologists also called Forensic Toxicologists, practice analytical and scientific procedures to determine toxins such as chemicals, biological substances, and radiation, and to evaluate the possible risks and potentially harmful effects posed by them. They also examine toxic substances and how it can affect or harm the environment and living organisms. The majority of toxicologists’ work is laboratory-based. To investigate and assess the effects of chemicals, toxicologists perform carefully planned studies and experiments. These experiments help identify the precise amount of a chemical that may cause harm and potential risks of being near or using products that contain certain chemicals. Research projects may range from evaluating the effects of toxic pollutants on the environment to evaluating how the human immune system reacts to chemical compounds within pharmaceutical drugs. While the essential duties of toxicologists are to determine the effects of chemicals on organisms and their environment, specific job duties may vary based on business and employment. For example, forensic toxicologists may look for toxic elements in a crime scene as medical examiners, whereas aquatic toxicologists may examine the toxicity level of wastewater. 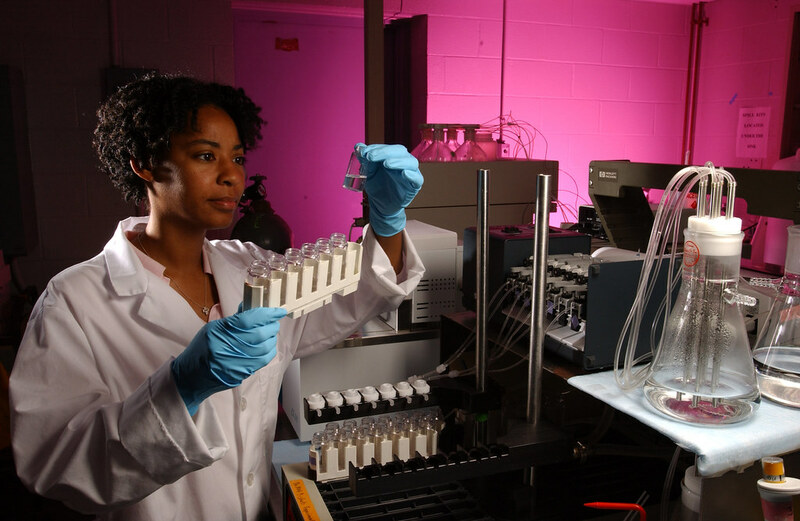 Bachelor’s degree programs in forensic toxicology cover the chemical makeup of toxins and their influences on biochemistry, physiology, and ecology. After introductory life science courses are complete, students typically enroll in labs and use toxicology principles to study and examine. Advanced students search into specific sectors, such as the pharmaceutical industry or law enforcement, which practice methods of toxicology in their work. Some Universities require master’s degree applicants to have a Bachelor’s degree or above. SOT or Society of Toxicology recommends aspiring toxicologists to take statistics and mathematics courses, as well as gain laboratory exposure through lab courses, student research projects, and internships. Salaries vary worldwide based on geographic region, experience, and work setting. Further information is outlined for select countries. Salaries for toxicologists vary with the greatest influencers on income being experience, geographic region, and work setting. Further information is provided. According to payscale.com, toxicologists in the US earn a median annual salary of $82,787. Entry level toxicologists can expect to make about $44,423 per year, increasing to more than $138,000 with experience. An additional amount of nearly $17,500 can be earned in bonus pay. Therefore, toxicologists should continue to see steady incomes as the result of research linked to pharmaceuticals and treatments for human health. Toxicologists in Canada earn a median yearly salary of C$66,074, according to Payscale. The lower 25% of professionals in this field earn about C$48,000 while the upper 75% have salaries around C$79,000 per year. There are limited toxicologists with more than nine years’ experience in this field. Payscale.com reports that toxicologists earn a median income of £34,646 per year. Entry level professionals earn about £18,500 while those with experience make nearly £75,000 per year. An additional £5,000 in bonus pay can further increase income. Professionals working in this field have a good amount of experience with 15% working in this field for 20 years’ or longer and 23% for 10 to 19 years. According to adzuna.com.au, toxicologists in Australia earn an average salary of AU$98,012 per year. Of the current job postings in toxicology, 62% had salaries ranging from AU$80,000 to AU$100,000 and 25% were between AU$120,000 and AU$140,000 per year. The top employers with available positions were government agencies and local health districts, and job postings in Queensland, Australian Capital Territory and New South Wales accounted for more than 79% of the total number of current openings. Those working in the field of toxicology in New Zealand are classified as forensic scientists. According to careers.govt.nz, forensic scientists who investigate crimes earn between NZ$40,000 and NZ$80,000 annually, while working in research garners significantly higher incomes from NZ$55,000 to NZ$130,000 per year. Forensic science is a small field, making job opportunities competitive and salaries less likely of experiencing large increases. According to Payscale, toxicologists in India are among the highest wage earners in the country with a median income of Rs813,891 per year. As a consequence, the lower 25% of toxicology professionals have incomes around Rs630,000 and the upper 75% earn about Rs1,000,000 per year. There are few people working in this field who have 20 years’ or more experience. There’s limited information available on salaries for toxicologists in South Africa. Therefore, we will refer to the incomes for chemists for guidance as toxicologists study the chemical effects of substances. Therefore, chemists in South Africa earn between R101,891 and R658,878 per year, with the median annual salary at R250,366. Bonuses can range from nearly Rs2,000 to more than Rs61,000 per year, and some employers offer profit sharing pay of Rs2,000. A career in toxicology typically requires an undergraduate degree equivalent to a four-year bachelor’s degree in chemistry, biology or math, followed by post-graduate education and training. Nevertheless, the wage gap betweenentry level and experienced toxicologists in the US is 212%, similar to New Zealand at 225% and UK at 303%. While experience does not boost incomes as greatly, India, Canada and Australia all see the influence of experience with differences of 59%, 65% and 75%, respectively. South Africa sees the greatest impact of experience on income with a difference of 547% between new and experienced toxicologists. Toxicologists may work for law enforcement, government agencies, research facilities or hospitals. Their work encompasses a wide range of industries including occupational health, clinical, forensic, pharmaceutical, cosmetic, food and research. Thus, they provide the opportunity to specialize in an area of particular interest. Those employed by the private sector may earn higher salaries than those working in the public sector. While the field of toxicology is similarly split between males and females in the US at 51% and 49%, other countries report a more male-dominated field. Those who work in the field of toxicology report high job satisfaction with a good work-life balance and the opportunity to make a positive difference in the community or individual lives. Toxicologists usually work Monday through Friday during typical work hours. In some cases, employers might require weekend or extended evening hours. Full-time employment may range from 37.5 to 40 hours. Some employers provide overtime pay and/or the opportunity for part-time and flexible scheduling. Most toxicologists receive full healthcare benefits, including medical, dental and vision; however, about 25% in UK, 20% in Canada and 17% in India indicate they receive no healthcare coverage. Some employers provide opportunities for bonuses and profit sharing. However, these are more common in the private sector rather than public sector. The U.S. Bureau of Labor Statistics indicates positions for medical scientists, including toxicologists, will likely have an average growth of about 8% until 2024. In South Africa, toxicology is a growing field as professionals work with a wide range of industries. These include some that are currently experiencing rapid growth. Toxicologists receive steady incomes and report high levels of job satisfaction, which leads to a positive work-life balance. Overall job growth is forecasted to be positive, with some countries indicating expected growth at a faster pace due to rapid growth among associated industries.